In the current article, we will review how to use the PowerShell commands for managing full access mailbox permission in Exchange Online environment. Full Access Permissions- Enable another recipient to see all of the mailbox content. 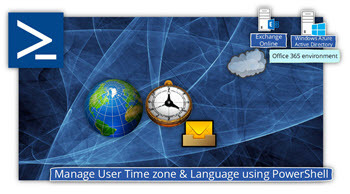 Permission to send email using another recipient name (“Send As” and “Send on Behalf” ). 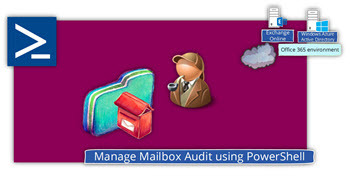 Some of the Mailbox permission can be assigned by the user himself (by using the Outlook or OWA interface) and the permissions to send email, using another recipient name, could only be allocated by using the PowerShell interface. 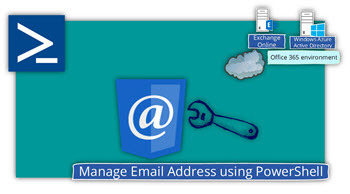 The considerable advantage of using PowerShell for managing Mailbox Permissions is that the administrator can remotely create the required setting for the user (assist users and prevent miss configurations) and using the power of the PowerShell, to execute commands in Bulk Mode (execute configuration settings for more than one Mailbox). 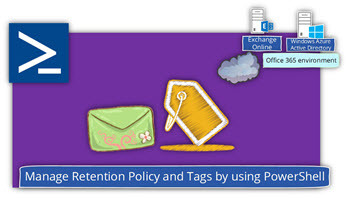 In our example, we want to enable Alice to get Full Access permission to hear manager mailbox. The -Identity parameter, relates to the user who wants to “share” his mailbox (provide other users the option to access the content of his mailbox) and the –User parameter, represent the user who will get the access to the mailbox. Useful collection of PS cmds. Thanks O365info! 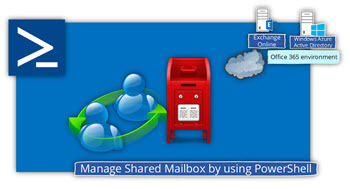 In my company we are using GMB (Generic Mailbox) for information exchange. People have access Full Access to it, also they should have Send on Behalf Of access. To simplify access, I have created Distribution List(DL), and include this DL as “Full Access” member of the GMB(with this everything is fine). I have tried to include DL into GMB Send on Behalf Of, but it didn’t find my DL via EMC. I have tried to do it via EMS, but my attempt failed. Could you please advise on this issue? What should I do? Hi, in lieu of public folders being rolled out in o365, we are using a user’s mailbox as the storage area for our numerous sub-folders. We have granted the permissions using Outlook, but are experiencing problems with this – folders are not always visible even though the permissions haven’t changed (new folders/sub-folders being created and inheriting the properties of the one above). 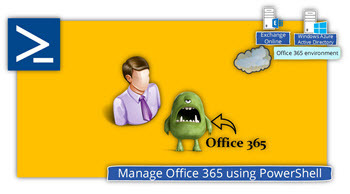 It has been suggested in the o365 community that I set the permissions using PowerShell. Are you able to assist me with the relevant commands please? I do not want to grant open access to this user’s Inbox, just to the sub-folders of that Inbox where our shared emails are stored. I try to read some information about your request. By using this option, the permission that you assign to the “parent folder” will be inherited to all of the “Child Folder” in any level. Generally speaking, it’s not so obvious to use a “user mailbox” to mimic the concept of a public folder. How to remove send on behalf permission using the script??? congratulations and thanks for this very useful site. How can I get an email address (kind of UserPrincipalName) instead of User ? I use the cmdlet get-mail $_.user | select UserPrincipalName in a foreach but it is very very so long. Any other idea ? how to give permission to 2 or 3 user for read only access a single mailbox i want to know what command i can use for same . Wanted to say thanks so much for this… I am not the best with powershell yet, and this helps alot. is there away you can edit to add a user to a distribution list / group, Ie what list would you like this user added to? Scans, users ? Joe. Consider scenario where we have 2 users with same name “Simon Walker”, UPN: [email protected], [email protected]” in an organization, both have permission “Full Access” on Sales mailbox. Now we want to remove permission for [email protected]. 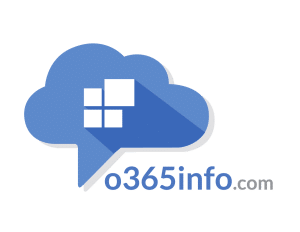 The Get-MailboxPermission will return DisplayName of user who has permission not DistinguishedName as in Exchange 2013 on-premises server that can be used to remove user easily as one do not have to remember UPN. How to get UPN or DistinguishedName of user who has permission on a particular Mailbox using Get-MailboxPermission? I’m having an issue setting the Clutter setting on a new mailbox, sometimes it can take over a hour before it will let me set the setting? Any idea why the accessrights switch is a multivalued property but only accepts sendas? The idea that sendas,sendonbehalf,fullaccess are stored in different areas is maddening.